There have been countless shipwrecks down the years, both in war and in peacetime. Each one is shocking in itself as well as being a personal tragedy for those involved. While there is no hierarchy in disaster, one life is as precious as any other, those that happen close to home, to people who are just going about their daily business, feel especially poignant. How many of us have taken the tube through King’s Cross, travelled by train, taken a trip on a cross channel ferry? The fact that disaster can strike so suddenly, in perfectly normal circumstances inspired me to write The Sixth of March but that was not my only motivation. I wanted to show the appalling effects that a culture of corporate negligence could have on the life of just one child. 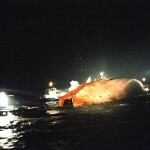 The Herald of Free Enterprise sank on the evening of 6th March, 1987, just as she left the harbour at Zeebrugge. She was laden with day trippers on their way back from an excursion. The ship collapsed within sight of the harbour; one hundred and ninety three passengers and crew lost their lives. The injured were counted in excess of 200, but accounting for everyone was difficult since not only were the passenger registration procedures virtually non existent, there were discrepancies between the accounting procedures of the Belgians and the British. Add to that the fact that the embarkation forms were somewhere in the purser‘s office, by then under water. 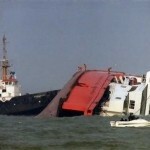 It is not known to this day just how many passengers were on board when the Herald left Zeebrugge. Why did the ship sink? The reason was obvious even before the vessel left harbour and way before the public enquiry, led by Sir Barry Sheen, came to the same conclusion. 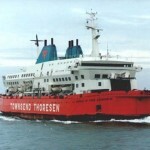 The ship capsized because it left harbour with its bow doors open. Other factors contributed to the disaster but this was the irrefutable first cause. This wasn’t the first time this had happened, and it wasn’t to be the last. Fingers were pointed, scapegoats were singled out but the plain fact is that, once again, people lost their lives due to corporate negligence, in this case taking the form of “a disease of sloppiness” and negligence at every level of the corporation’s hierarchy.